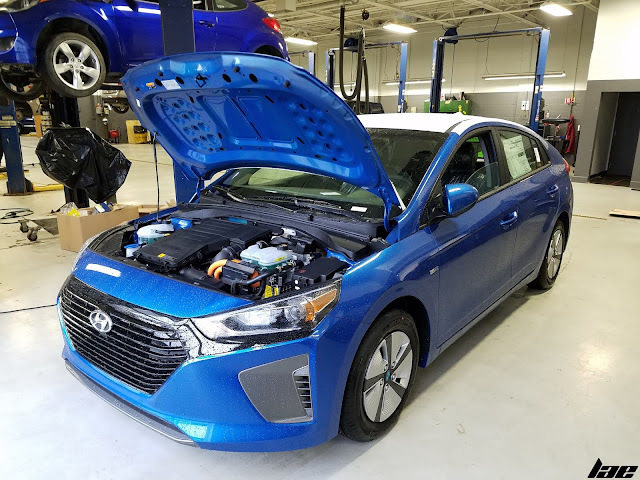 The Hyundai Ioniq...an all new small Hybrid based on the current Elantra. I have yet to drive one yet, but I did have a chance to sit in it, and play with some of the buttons. On the outside, it looks like an Elantra, though, from the rear, it has that, now stereotypical, small Hybrid shape, with the rounded rear end forming a Hatchback of sorts. Under the hood, you get the 1.6L GDI "Atkinson Cycle" (explained here) inline-4. 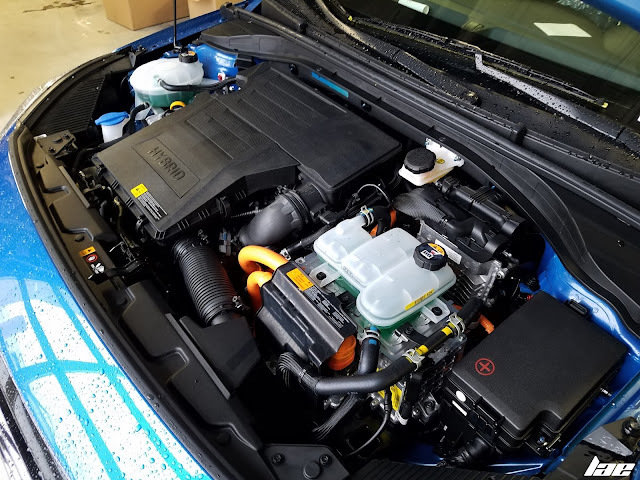 When paired to the 32 kW (~43hp) Alternator/Starter/Generator/Electric Propulsion motor, the car has 139hp. It uses a 240V Lithium-Ion Polymer battery, which, as you can see, has it's own cooling system (shown in the foreground). Power is transmitted to the wheels via a 6-Speed "EcoShift" DCT transmission. 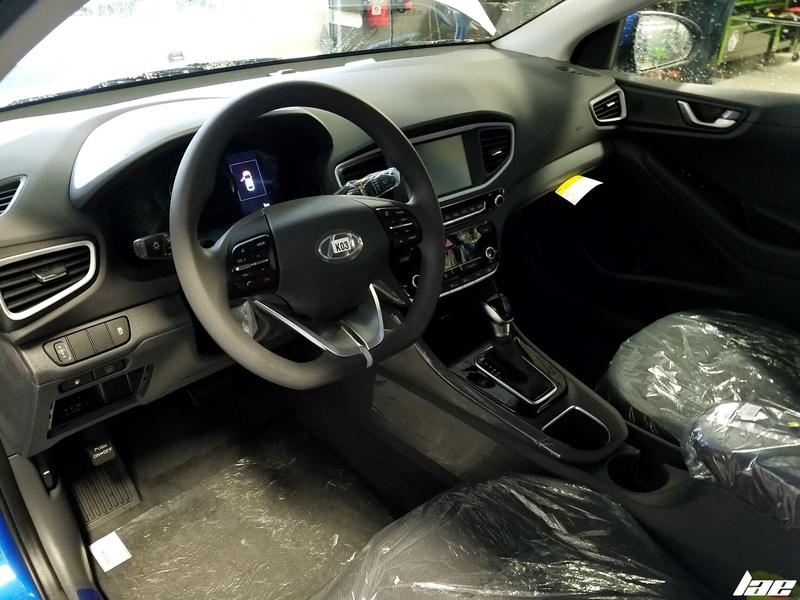 Inside, in addition to all of the shipping plastics, which should be removed by the time it gets put in the showroom, you get a 4.2 inch LED screen in the gauge cluster, Dual zone climate control, a 7-inch touch screen in the center, and all the other bells and whistles that come standard on the Elantra SE, with options comparable to the Elantra Limited. For this example, with a claimed 58mpg combined, all you pay is $23,310.00. Not too bad, really. Hopefully, I'll be able to get a proper review in this since the weather is getting nicer. Stay tuned for that and other content, and as usual, like and follow here, and on my other social media.